If you’d like to walk with your children or grandchildren, we have just the programme of walks for you! 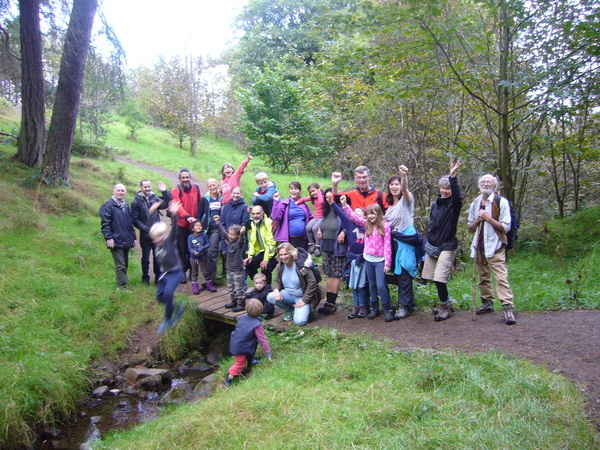 Edinburgh Ramblers run a programme of fortnightly led family walks which are usually around 4 miles, taking 2 – 3 hours. Come and discover lovely places in easy reach of the city, meet other parents or grandparents and let your children lark about and be children! There’s always time to stop and smell the flowers, spot the birds, look at the waterfall, clamber about and make the most of being outdoors in the fresh air in all seasons.